The Google Pixel Snap Case makes it easy to slide your phone into a pocket or clutch. Its slim form factor and lightweight design give it a modern look. Create and choose your own personal design! 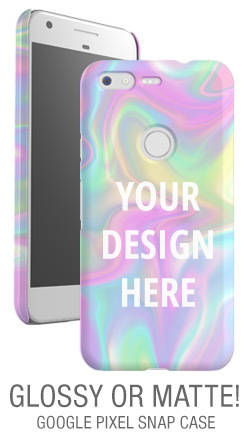 This all over print sublimation look is great for any design and its hard case gives protection to your phone. Create one for yourself or try getting it as a gift for friends and family.